Create 90-100% perfect clear ice slugs in your home freezer! Until now crystal clear, geometrically perfect Ice Balls have only been possible for those capable of spending $10k+ or suffering through the hellish time, mess, and inconsistency of attempting concepts like the "cooler method". The PURUS is optimized for use in your ICEBIRG Ice Ball Press, and it does it easily and consistently with very little fuss or mess. 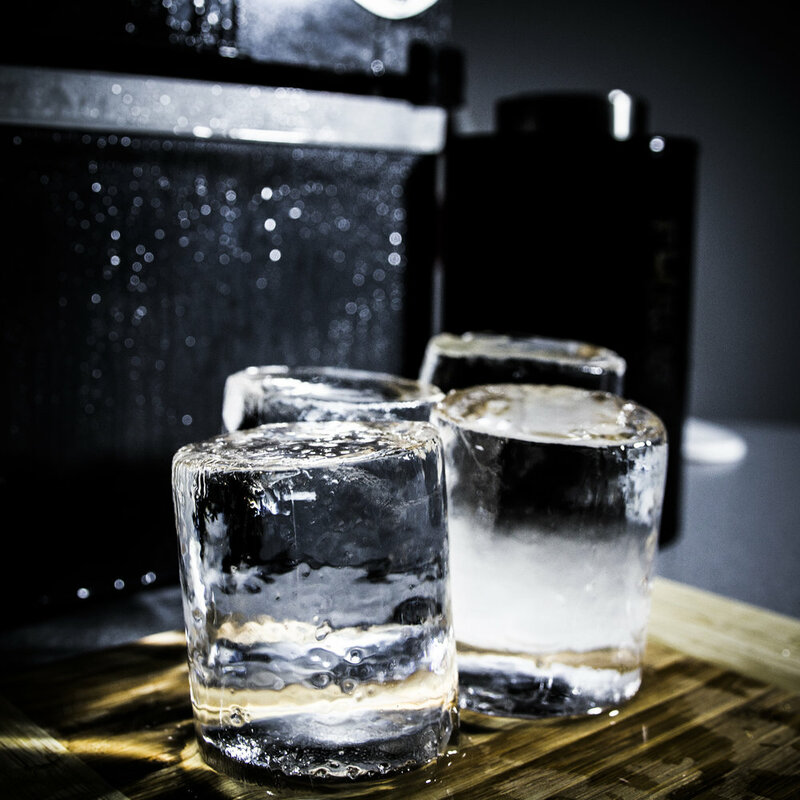 Furthermore, at no point does any plastic, silicone, or composite come in contact with your water or Ice while freezing, only the highest grade of stainless steel, for the absolute lowest flavor pollution possible. Finally an affordable at home solution that brings perfect crystal clear Ice Balls to those that enjoy them the most! Perfect for any scotch, whiskey or craft cocktail connoisseur! Some of you may be wondering, "Why does clear ice matter?" - Melts much slower due to near perfect density and geometry! - Heavily decreased flavor pollution due to Ice purity! - It looks absolutely stunning! This depends on how many base systems you have. You can only freeze one cast at a time per base system with the PURUS1, or four at a time with the PURUS PRO. No. But the quality of your final Ice will be better if you do. However, for personal use I often utilize hot tap water with pretty stellar results. Absolutely not. Our credo at ICEBIRG is NO FLAVOR POLLUTION EVER. 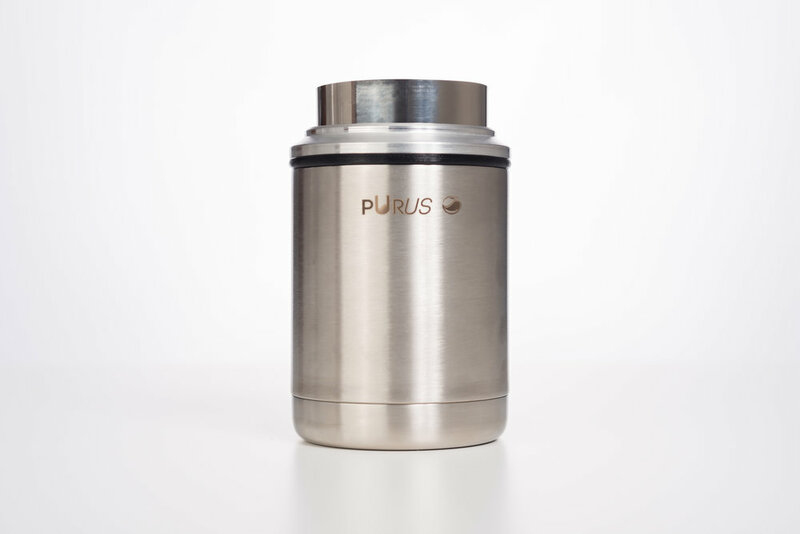 The PURUS System was specifically designed to make sure that only the highest grades of Stainless Steel come in contact with your Ice/Water. Be confident in the fact that we would NEVER utilize materials that could compromise the flavor / purity of your craft ice. When we were developing this product we spoke to many of our clients about price and time frame. In the end, the overwhelming consensus was "we don't care how it looks, we want it now, and we want it as inexpensive as possible!". So with this in mind, we designed the PURUS System to be produced in the most efficient way possible, that still kept stellar performance. We will admit the "style" of the system is a bit "different". Each customer will have to decide how the feel about the look for themselves, we however feel it actually looks really damn cool! Please let us know your thoughts! 7. Was I supposed to receive "lids" with my PURUS1 / PURUS PRO? NO. We discontinued the need for lids awhile back due to design improvements.